I believe in miracles and I believe that they live inside you and me. Do you believe that healing requires a miracle, or do you believe that our trillions of cells govern themselves and create the bodies that we have? So how does the eye know how to focus or the muscle know how much energy it will need during your walk today? These are the unseen workings of the world of cells that reside within. I believe in miracles and I believe in healing, things unseen and not fully understood, things that require faith in something unseen. I teach classes and talk with people who seem to coincidentally show up in my life. People who have deep desires to be well, or in most cases that their children be well. They are often so unsure of what will work after trying many things: supplements, medicines, and a million other things. They seem to be running out of options; as they become more desperate, as a last resort they’re trying what seems to be so simple – changing what they eat. It was just as miraculous to me when I first tried it. The funny thing is that these wondrous foods have been around since time began, not changing and remaining the same. Waiting to be discovered, to bring life and health to all who will try them. I have gone from hoping, to believing, to knowing that something so simple could be so real. 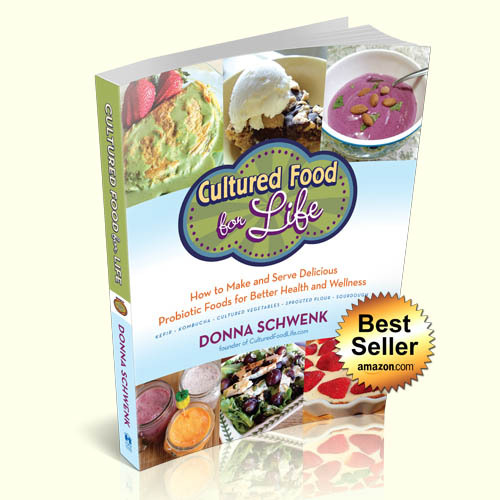 Cultured foods came to me when I needed them most. They are alive and brimming with the very thing that your body contains by the trillions: bacteria. Don’t you think that if there are trillions of bacteria in our body, that it might make sense to pay attention to them? Maybe even to try to enhance their job, with perhaps some of the right kinds of foods and beneficial bacteria that would help them to grow and thrive? We take so much for granted when it comes to our bodies. They do more in a minute than we could possibly ever understand. 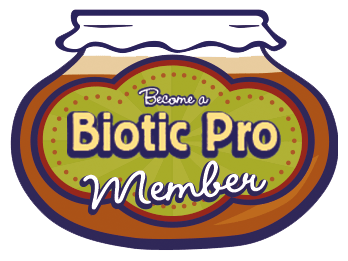 Here is what I have noticed and learned and continue to observe about the different strains of beneficial bacteria that I eat every day. Helped me normalize my blood sugar, driving my diabetes away. Made my premature infant thrive. Reduced inflammation in all my joints. Made my skin look beautiful. Got rid of acid reflux. Made me love my life again. Tart and slightly sweet while being the most delicious bubbly drink on the planet. Rid me of Peri-menopause symptoms. Rid me of food addictions. Helped with my daughter IBS symptoms. Keeps pathogens from adhering to gut lining. Helps my seasonal allergies and adrenal stress. Take any vegetable and transform it. Rid my daughter and me of candida. Fixed the pain in my daughter’s gut. Helped me recover from food poisoning within an hour. Reduced and helped fix my seasonal allergies. Will help eliminate or deter any kind of flu bug. They are in my arsenal for any kind of sickness. They feel more like a wise old friend than a food. These are my stories, but I hear so many others from the people who come to my classes. Stories of people being restored and allergies that are no more, children thriving and problems that once were so prevalent vanishing. I used to think my body had betrayed me with sickness and disease. Instead, my body was trying to get my attention, guiding me, and longing to work in harmony with me if I would but listen. 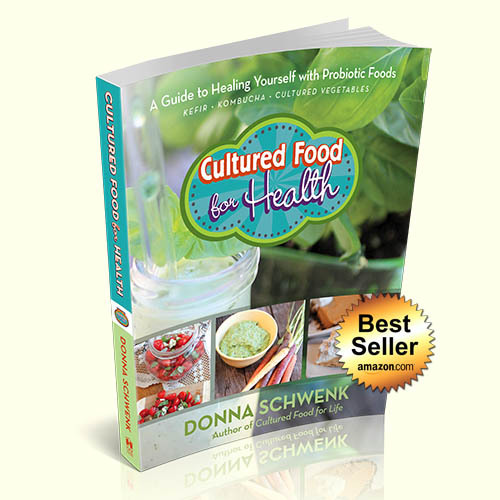 These foods are more than just foods; they are living microbes that have more power than you could possibly understand. 62 Responses to "Does Your Body Need a Miracle?" Are you sure it is mold and not the new scoby forming? Often people will mistake it for that and if its hairy fuzzy or green than it is mold and you must have some mold in your house somewhere to cause it to keep happening. How long do you think it should take for God to get someone’s attention? Should be immediately right? Well, not for me. 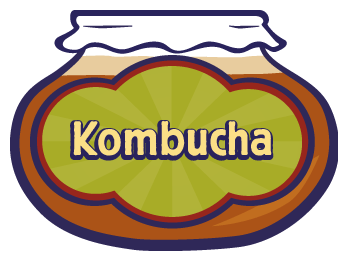 I have been brewing kombucha along with kefir for many years now . I truly cannot tell you for how long. 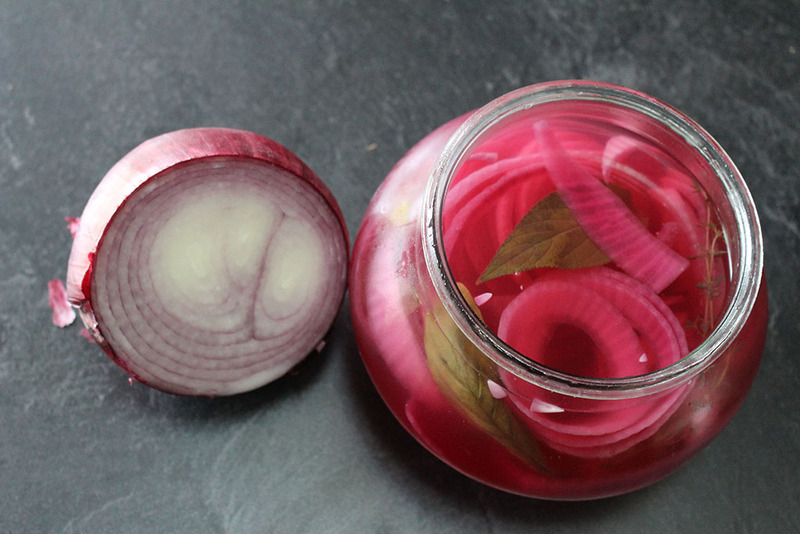 But I have never done a 2nd fermentation till I found your website. Both of these are fabulous! 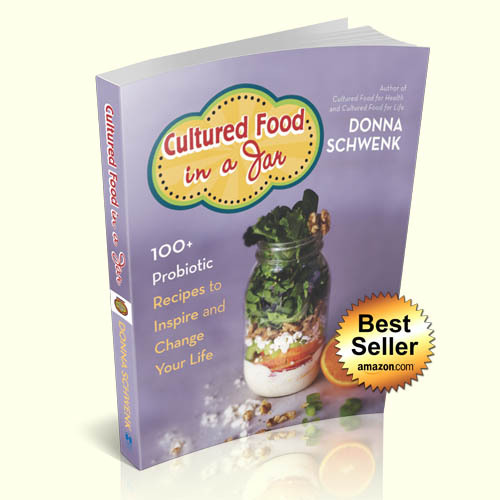 I even have the book Nourishing Traditions and glanced at it and put it away wishing I was brave enough to try lacto-fermentation. Well, I will be making some fermented cabbage this weekend. I have been successful in getting my twin sister to start brewing kombucha and she loves it. She has MS and has had such an increase in her energy level that she says she will never give up kombucha. Her daughter had Hashimoto’s and has started on the kombucha also and I can’t wait to hear what it will do for her. My own daughter had Type 1 diabetes and I am working on getting her to try some fermented drinks. Yes, I should have never let her see the SCOBY. As you can see my family has a problem with autoimmune disease. My husband has high blood pressure and high cholesterol but is skinny. I stay tired and my joints hurt along with being overweight and guess what? I am a RN but I do not like conventional medicine. I am not a newbie in all aspects but have still learned so very much in just a very short time from your book and your website. I am truly looking forward to finishing your book and devouring everything you have written about this wonderful world of fermented foods. I think God has been showing me the way to help heal our bodies for a very long time but has finally placed you right in front of me to get my attention. It is letters like this that make me thankful and glad that I do what I do. Hugs to you and yours. Thank you for the post. It means a lot to me. I can completely relate to what you have said here. Feeling like God is trying to get my attention and has been for quite a while. I’m trying so hard to find the truth he has for me. I get impatient and I resort to worry but I know we are to fret not. We are fearfully and wonderfully made and I’m waiting in expectation for the miracle. God bless you. I hope this finds you well. Hi Donna, WOW my head is spinning! I don’t know where to start! Many health issues; Hashimotto’s, Celiac’s, Adrenal Fatigue, and Hormone imbalances due to surgery years ago. SAD diet all my life. I’m 62 now. No luck with doctors. After prayer and asking God for direction, I am now a member of Weston A Price. Started out gung ho with all the cultures and detoxed so bad I was miserable with rashes of all kinds! Had to totally stop. I need to start very slow again. What would you suggest as a starting point for me, Kefir, Kombucha, veggies? and how much. Thank you so much for all you do! Which ever one most appeals or interests you. Here is where I started. Thank you Donna! So my journey continues. I will be starting slowly with fermented veggies because I am dairy free. Looking forward to the changes. The article about where you started was what I needed for encouragement. I’m starting on Kraut juice from GAPS and working my way forward! Blessings! My son has battled constipation all of his life. He is 13. I have been 2nd fermenting milk kefir from your grains for almost two weeks. He has been drinking this as a smoothy (2tsp pure vanilla extract, ice, and 1tbs sugar and 2 cups of 2nd kefir) at around 9pm every night with me for about a week and a half. He only missed one night. I am eagerly awaiting to see a change in his stool, but have not yet seen it. How long do you think this should take before we start to see a change? I would try adding cultured vegetables and just a spoonful and the combination of bacteria may be what he is missing. You said the kefir made your premature baby thrive. Would I be right in guessing that she got it through your breast milk? Or did you have some other way of giving it to her? I remember with my first child, within weeks I found that I couldn’t drink coffee (unless decaf), or coke, I couldn’t eat more than one or two squares of chocolate or anything at all with red food coloring as it went through my breast milk and she went hyper. Her body would be tired but her brain was buzzing so much that she couldn’t go to sleep and she would lay there screaming at the top of her lungs. Obviously, what we put in to our bodies while breastfeeding greatly affects our child also. Yes, if you can drink it and she can get it from you this would be the best way. I have been making home made milk Kefir for a couple of months now and have just started making coconut milk kefir. For breakfast each morning I have a smoothie containing almond milk, mixed frozen berries, whey protein isolate, 1/4 cup milk kefir and a 1/4 cup coconut kefir. I also consume about a cup of store bought Kombucha each day (I haven’t yet ventured into making my own Kombucha). My question is, how much Kefir/Kombucha do I need to consume each day to get the maximum health benefits. Thank you so much for sharing your knowledge. I usually have a cup of kefir, 16 ounces of kombucha and 1/4 to 1/2 cup of veggies but It varies but this is a good rule of thumb. I am wondering if you have any experience with anyone with osteoporosis. I am 34 and have severe osteoporosis. My doctor (being seen at the Mayo Clinic) thinks it is an undiscovered genetic metabolic bone disease. Two of my daughters and many other family members have similar problems. So far we don’t have any answers except drugs, which I don’t want to do. I am thinking it may be that we aren’t digesting and absorbing properly. 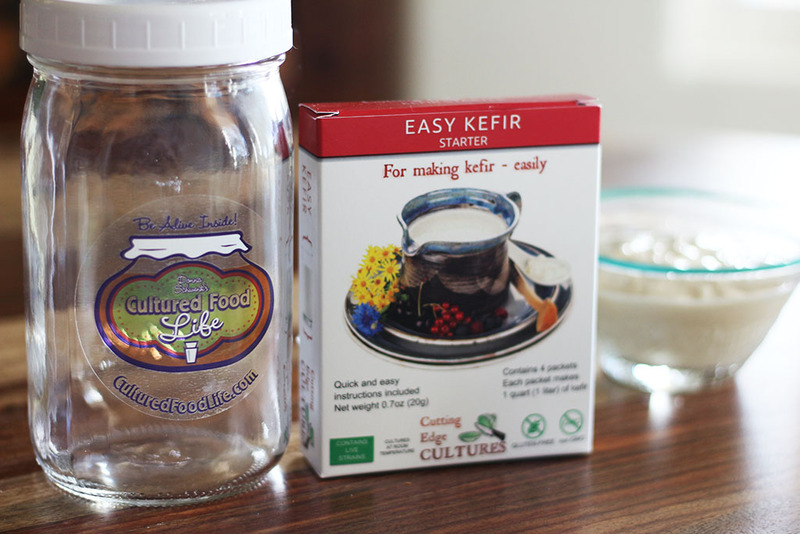 I started having kefir smoothies daily in the summer of 2013 and then cultured veggies in March of 2014. We eat mostly whole foods and are otherwise healthy. Please let me know what you think. I am doing my 1st batch of cultured Kraut but haven’t got the air locks,if I don’t get all the mold out is it going to hurt me? Well I am now making Kefir, fermented Vegetables, kombucha, and Sourdough bread. Your site has given me the knowledge to heal myself using a natural approach. Thanks for your informative site, I am learning a lot. Have you or anyone else cured diabetes by eating cultured foods? I seem to be a late onset type 1. I am a fairly healthy eater I’m general. Any advice/suggestions is appreciated. Type two diabetes I was cured of and talk about this in my book, but not type one diabetes which is a very different type of diabetes. 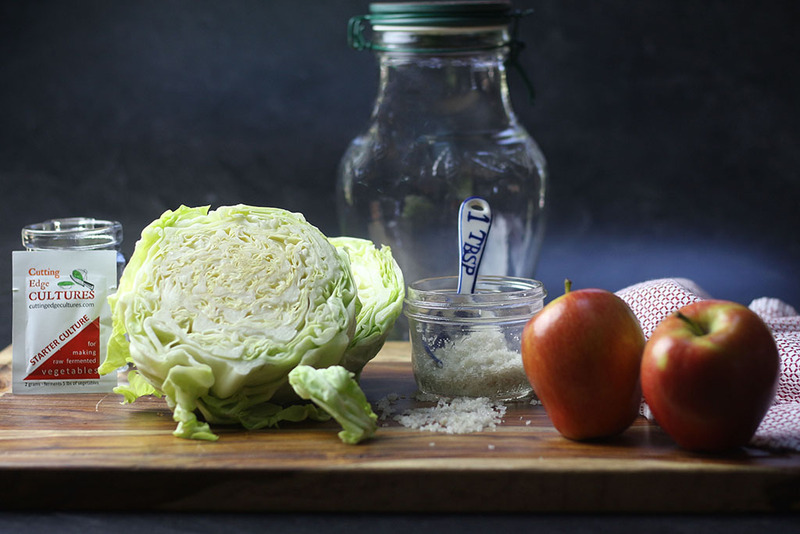 AFTER WAITING 7-10 DAYS WHILE THE CABBAGE FERMENTS ON THE COUNTERTOP IS IT THEN READY TO EAT FOR ITS FERMENTATION BENEFITS OR MUST IT BE IN THE FRIDGE FOR 1 1/2 TO 2 MONTHS BEFORE IT HAS THESE BENEFITS? 7-10 days and it is ready and has the most probiotics at this stage so eat away! Hi Donna! 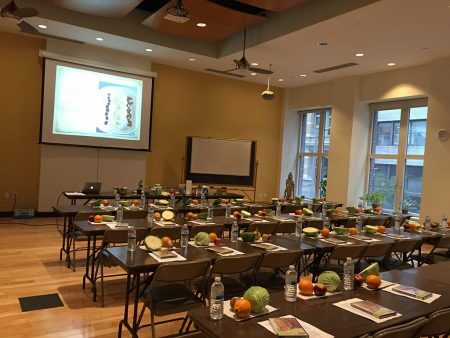 Thank-you so much for teaching others about Fermentation. I love how you are part of the Weston Foundation. I have tremendous respect for their Organization. I have been using all 3, like you I jumped in with both feet!! The first few times I drank kombucha it made me quezzy and feeling very hungary. Like my blood sugars were real low, I knew I was detoxing and my body trying to get used to it. And soon by each drink I began to notice the carbonation and now love them but partial to a few flavors. I have so much energy today I could run a marathon!! I get all 3 starters next week and so excited to learn how to make them and already telling others how I will help them learn as well, through you. 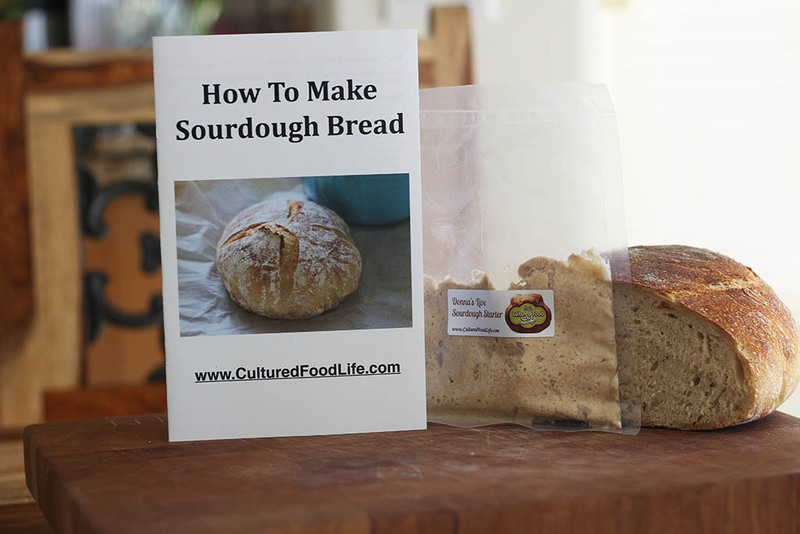 I love your book and also going to start my sourdough bread and sprouted flours!!! I love Ezekiel bread. Thank you so very much and I’m so glad you came into my life!!! I have been sick with gut issues for twenty years. I am approaching 40, have had five children, I am a Uni student, and have had a very stressful five years. My adrenals are shot, my gut is worse than ever and no matter what I do, it seems my health worsens. 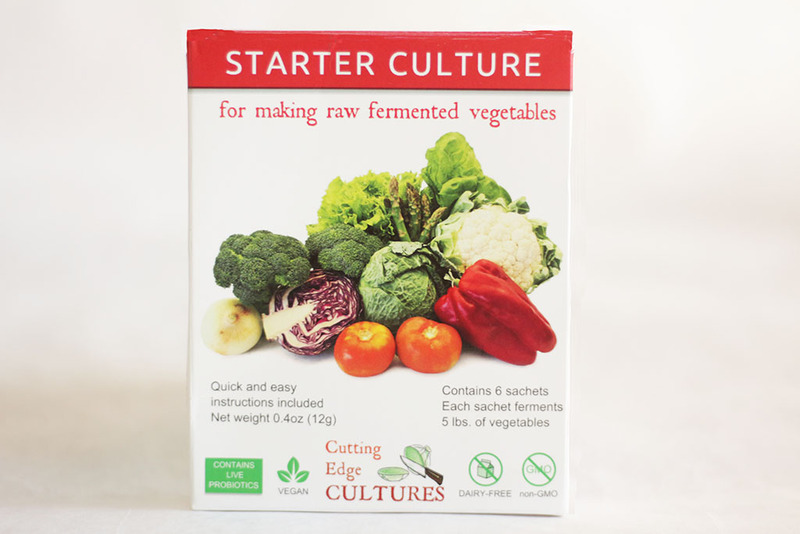 I have Kombucha, kefir and I am yet to try cultured vegetables. I am grain, wheat, sugar free, i exercise and would say i lead a very healthy life but now I know I need to do something else. I am desperate. So I will let you know how I go. Thank you for your page. Bless you. 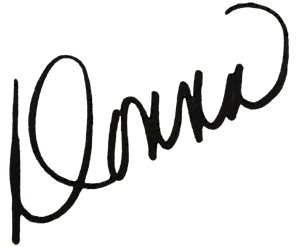 Hello Donna, I’m writting you from Argentina. 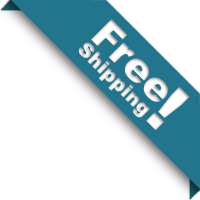 I would like to know your opinion concerning water Kefir. Thank you for your great generosity! I wrote about this in my book quite extensively. It is my least favorite cultured food but I still like it I just think the other, kefir cultured veggies and kombucha are better. 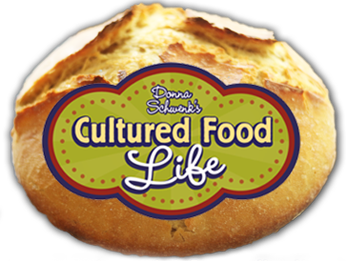 I am a huge believer in cultured foods and use them everyday and have noticed much better health since beginning in the fall 2013. The question i have for you is, a friend of mine a has a candida problem which shows up in her reproductive system and armpits. I have given her homemade kefir and she says it just gets worse when she eats it. She is a very natural person, but has to resort to using drugs. The drugs only give her temporary relief and then the problem comes back. This is because she is having a die off from the candida when she consumes the kefir. Kefir kills yeast and if feels like it is getting worse but is actually dieing off. Here is a blog on this. I seem to have the same problem and I noticed that the kefir grains include saccharomyces cerevisae which is the same yeast used in beer and beer definitely worsened my yeast problem. I wonder if that might be part of the problem. I have no problem with the veggies. 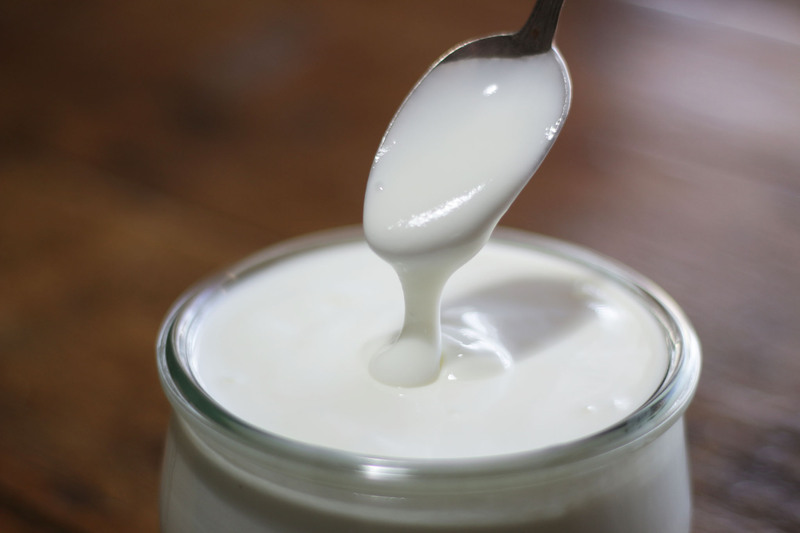 Hi, Where I live (argentina), kefir is impossible to get anywhere so I’d like to know if there is any treatment i can do to milk to create kefir. 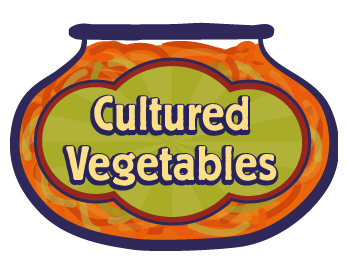 And How do I tranform vegetables into cultured food? Thanks for your help! I love your insight and wisdom. Thank you for sharing this with us. I too am new to cultured foods. I love raw milk dairy but think it creates problems with my sinuses. Would using kefir help to resolve this issue? Yes, kefir or even coconut kefir would help with this. I appreciate this very much! 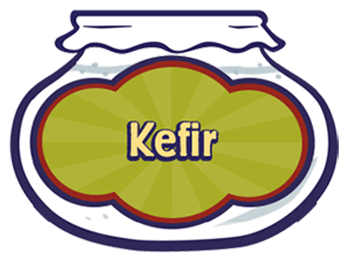 I’ve begun purchasing kefir and love it’s sour taste. Better than yoghurt. I am going to try your recipes. 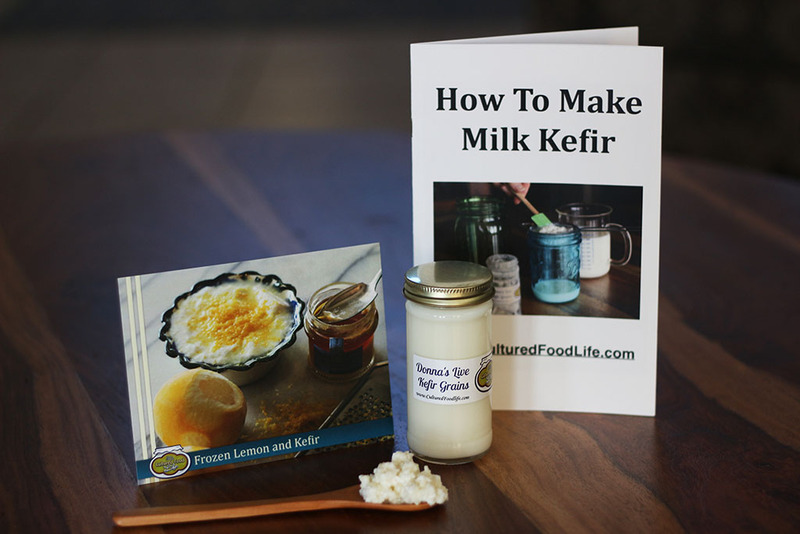 I plan on trying to make my own and will purchase the kefir starter to begin with. Hi, Donna – I know you and your husband find jars in lots of different places. (me too) I was wondering if there is a consistent place that you find the small carafe jars with the snap-on lids. I love those, they fit so nicely in the fridge, they’re easy to clean and so versatile ! Thanks! I find them at TJMaxx and Marshall’s and also gift shops. Also check Amazon, they have these jars also, hope this helps. 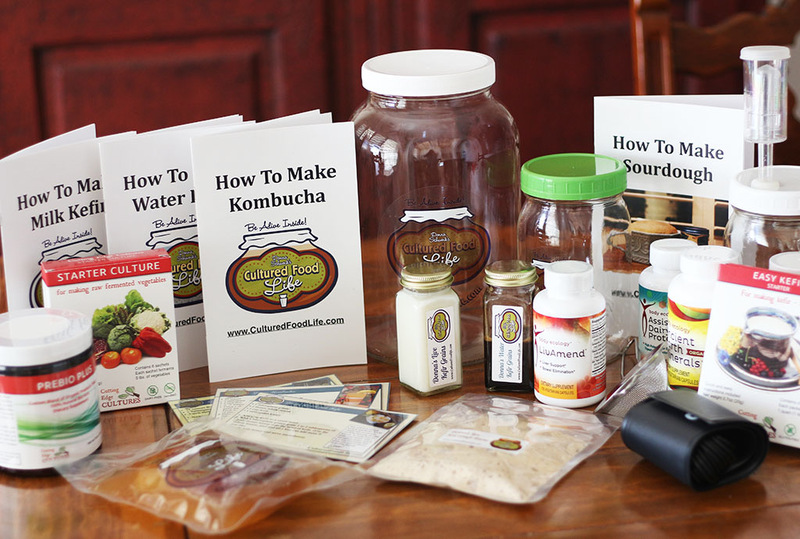 I’ve got a friend with a scoby and kefir grains, and I bought the vegetable-culture kit. I’m wondering what and how many bottles I should buy to start and then ultimately what’s needed so I can pick them up when I see them. What’s your recommendation? For some reason the supplies are holding me up. Please be careful when you buy flavoured Kefir. It usually has a lot of sugar in it which defeats the whole purpose of taking it. I also only buy the organic kind. I’ve been drinking a kefer drink or eating some cultured veggies every day for a couple of months. How much and how long do you think it takes for real health changes? Yesterday Dr said my blood pressure was high. 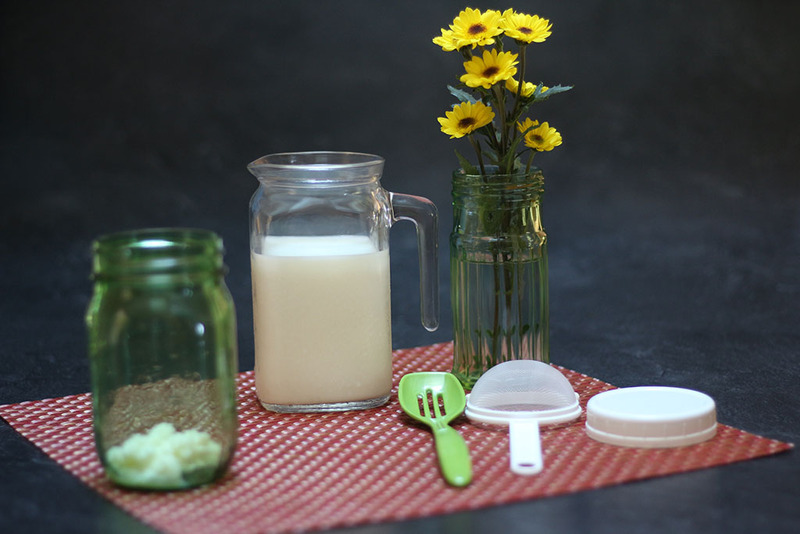 Are you using homemade kefir? And their can be many factor that are involve in high blood pressure. dONNA, SINCE I’VE BEEN DRINKING LOTS OF KEFIR THAT I’VE MADE AND DRINKING LOTS OF BOUGHTEN KOMBUCHA, I HAVE DEVELOPED A RASH ON MY NECK. COULD IT BE MY BODY DETOXING OR COULD I BE HAVING A REACTION TO SOMETHING–POSSIBLY THE MILK? I’VE NEVER HAD EXZEMA BUT THIS LOOKS SIMILAR TO IT. Its most likely a detox reaction. Your skin is your biggest detoxifer and I would back off a little until your body adjusts. WHAT are your views on candida and Kombucha? I ‘ve heard mixed opinions and I’m leary because I dealt with candida last year and seemed to clear it up with herbs and diet etc. 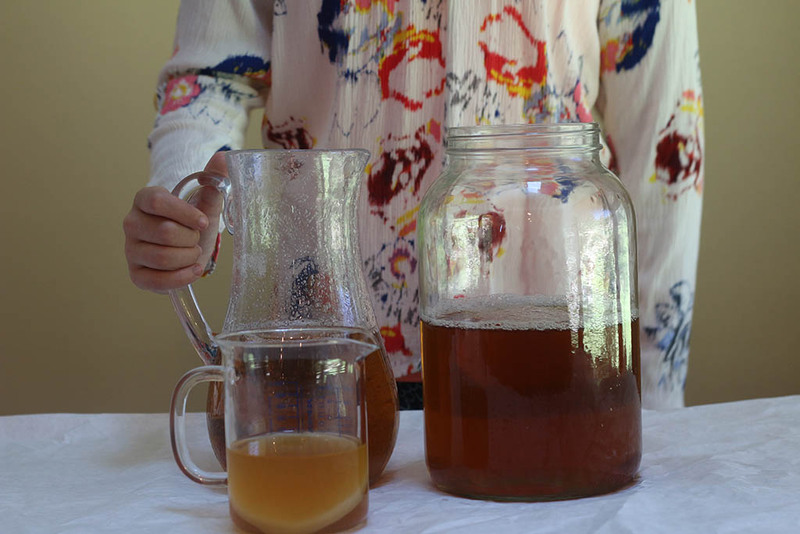 then started kombucha and wasn’t noticing return of symptoms then made my own and on the second batch started noticeing bloating etc…..I’m not sure if it was candida returning or just hormonal fluctuations b/c perimenopause…..but i stopped drinking it and making it….and I miss it. It depends on how sweet your kombucha is. 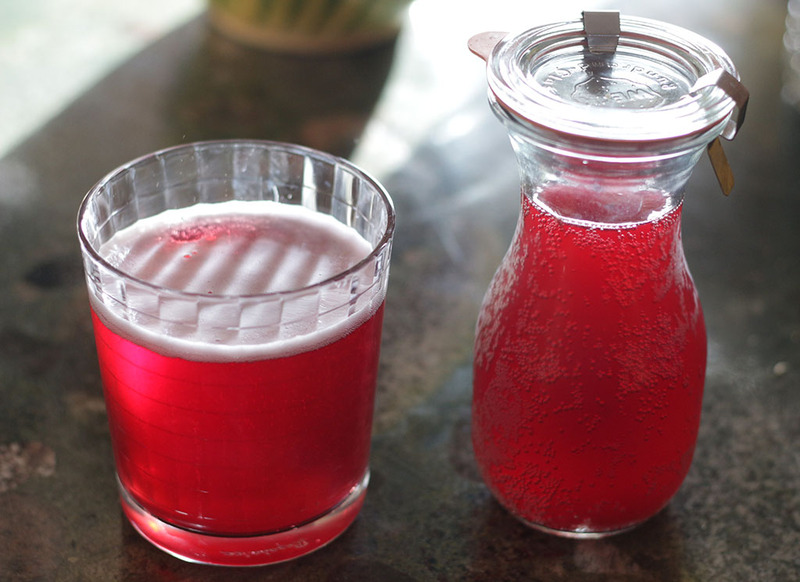 I have found that people with candida do the best when they don’t add the juice and second ferment, because often they don’t get rid of all the sugar in the juice. Thanks so much for all of your wisdom and information!! I’m almost convinced that even good health, can be better health!! Hi David, Pick the one that you are most interested in. 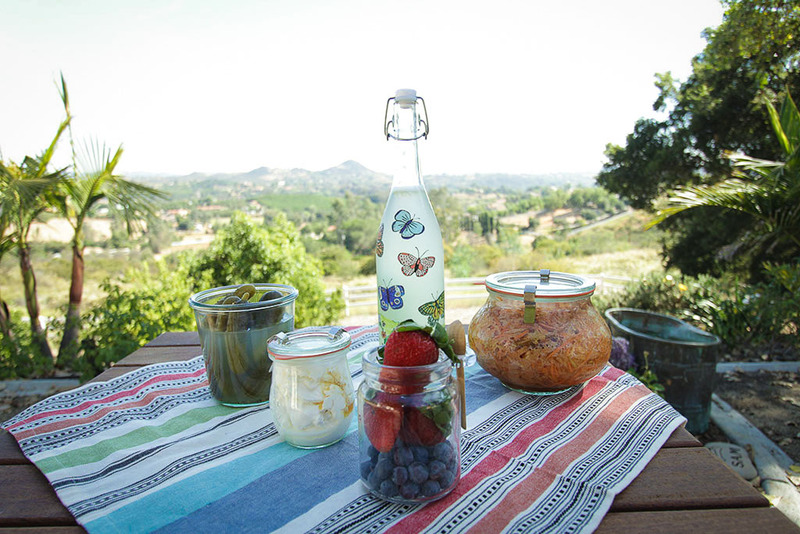 Kefir, Cultured vegetables or kombucha. Then start with one that you think you would like the most. 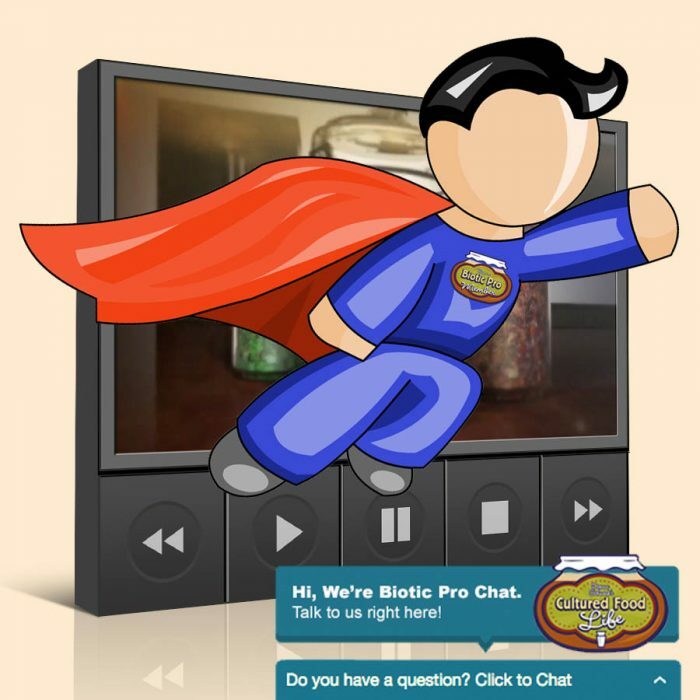 You can go to culturing basics on my site and pick the topic you would like to learn about. There are instructions on there. If you would like to see videos on how to do it. You can be a member of my site or get my DVD or book, or just get the free info on my site. 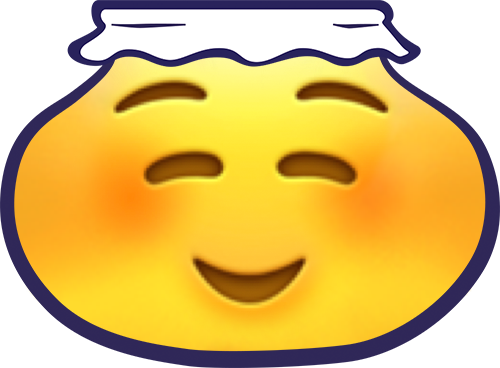 Happy fermenting. Let me know if you have questions. Happy to help. Gini, store bought kombucha is delicious and very beneficial. I buy GTS Dave’s brand, and love the taste. Enjoy! If you have an organic farmer’s market in your area start by buying a few fermented vegetables and assorted Kombucha drinks there. 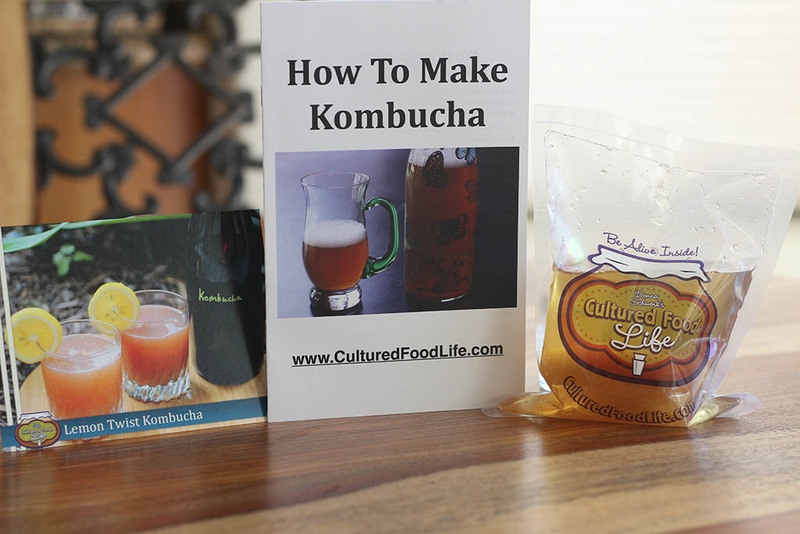 Experiment with the different flavours of Kombucha to see what inspires you and your taste buds so that when you start you will make up the ones you like and then you can branch out to others as you grow into it. And love your site and wisdom!! Is it okay to gently heat cultured veggies by adding them in soups or other dishes or does this kill the beneficial bacteria? If the temperature is above 115 degrees it starts to kill the bacteria. You can add them to soups when they are warm. Heat does kill the bacteria.